Who is most at risk? 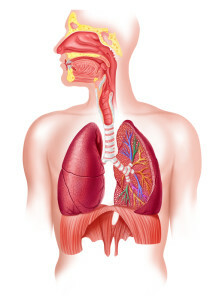 What are bronchitis and emphysema symptoms? How should COPD be treated? Get this FREE Guide filled with clear answers to your most important questions and concerns about lung health. COPD is a thief. That’s not the textbook definition, but it’s what COPD is. COPD steals your breath. It compromises your lung power and your health. It can make daily chores exhausting and rob you of the pleasures you get from your favorite leisure activities and pastimes. But the good news is you can stop this thief. COPD doesn’t have to control you—you can control it! This timely new FREE Guide from University Health News will show you how. The COPD definition in the textbooks is: Chronic Obstructive Pulmonary Disease. It’s the term doctors use for two lung issues—emphysema and chronic bronchitis, which sometimes occur separately but more often together. But what causes COPD? How do emphysema and chronic bronchitis differ? What are the COPD symptoms? How is COPD diagnosed? And most important—what can and should you do—to breathe easier and lessen COPD’s effects? This special report, What is COPD? Symptoms and treatments of bronchitis and emphysema gives you the facts about COPD and explains the best ways to effectively prevent and treat these debilitating lung diseases. The report is yours absolutely free. And you can download it now! COPD symptoms are often ignored until damage is done. Over 15 million Americans have COPD, and millions more may be unaware that they are likely to develop it. This unawareness occurs in part because most people never use their full lung capacity, and so diminished lung function is not noticed in the early stages of COPD. The earlier you get a COPD diagnosis, the better your COPD prognosis. Today’s treatment options can prevent the disease from getting worse, ease emphysema symptoms, lessen chronic bronchitis symptoms, improve the ability to maintain a full, independent and active life. That’s why we are offering you this guide FREE. It is that important. COPD claims more than 130,000 American lives each year. With swifter diagnosis and advances in COPD treatment, you can protect yourself and loved ones as never before. The Guide will provide guidance to help you recognize a problem before it progresses. You’ll know which tests make sense. And you’ll be able to make COPD treatment choices that maximize success and minimize disruption. The COPD link with colds, flu—and shingles! Edited by the experts at University Health News, this up-to-the minute report is ready for you to download right now. And it’s yours FREE! Breathing is the first concern of medical responders—for good reason. Any EMT will tell you, their priorities are A,B,C—airway, breathing, circulation, and airway and breathing top the list. The body can go for weeks without food and days without water. But air? Your body will succumb to oxygen deprivation in just a few minutes. Your lungs are the gateway for this life-sustaining molecule. They allow entry to oxygen while fending off enemies such as bacteria, viruses, pollutants, and smoke. When repeatedly exposed to an irritant, such as smoke, the lungs and airways can suffer lasting damage. As that damage increases, COPD symptoms become more and more pronounced. From COPD Symptoms to COPD Diagnosis: Is it emphysema? Chronic bronchitis? Or Asthma? Shortness of breath is the symptom that drives most people with COPD to see the doctor. When you go, what questions will your doctor ask? What tests should you expect? In the FREE Guide you’ll learn which tests are most valuable for diagnosing a lung disease. You’ll read about a key test to distinguish COPD from asthma. You’ll explore the role of CT scans. You’ll discover why people with chronic bronchitis may gain weight but people with emphysema will lose weight. And you’ll be briefed on the one tests doctors use to define COPD stages. Because you can’t put a price on lung health…because you can address COPD symptoms effectively…because you can lower the risk of COPD, send for this FREE GUIDE today. Download it now. You don’t have to smoke to have “smoker’s cough”—or COPD.Just as not all smokers develop COPD, many people who never smoked can develop COPD. Indeed, up to 20% of COPD symptoms can stem from occupational exposure or outdoor air pollution. The FREE Guide will clear the air when it comes to COPD treatment. You don’t have to watch TV long, before you’ll see commercials for inhalers that promise to stop the “huffing and puffing.” But are some claims more hype than help? Bronchodilators (inhalers) are the cornerstone for COPD treatment. They can reduce emphysema symptoms and chronic bronchitis symptoms and help you stay active. But which is the best choice for you? Short-acting or long-acting? Single drug or combination? One with a corticosteroid? Soft-mist or dry powder? What’s best to quell COPD exacerbation (a sudden flare-up of COPD symptoms)? What is COPD? Symptoms and treatments of bronchitis and emphysema will give you the facts you need to work with your physician to select the inhaled drug therapy most appropriate for managing your COPD symptoms. You can stop the wheezing and the worrying! Download the FREE GUIDE now. What else you can you do to strengthen lung health and lessen COPD symptoms? The FREE Guide will tell you. As doctors have learned about the underlying biology of COPD, a host of effective treatments have emerged that not only increase COPD life expectancy but dramatically improve the quality of life. a nicotine replacement therapy that disrupts the “crave and reward” cycle. a breathing technique that strengthens respiratory muscles and allows you to use less effort to breathe. Your free guide will share ways to keep your home clear of irritants …why a cool house is better than warm for reducing COPD symptoms … and the two vaccines anyone with COPD should get without delay. What is COPD? Symptoms and treatments of bronchitis and emphysema banishes the misinformation about COPD and readies you to take fullest advantage of the advances that are preventing, slowing and more effectively controlling COPD. Live—and breathe! Get your copy now. It’s yours absolutely free!
. I cannot breathe well while lying flat on my back or on my right side. Thank you Novak, i also used their treatment. I have had ASTHMA my whole life but about 7 years ago my asthma got so bad and was diagnosed of EMPHYSEMA/COPD which was most likely due to the asthma. I was on double antibiotics and steroids, still didn’t feel any better. My lungs were constantly wheezing in all four chambers, i already used Advair, Spiriva, and Albuterol in my nebulizer, they just didn’t do much. April 2016 my sister in-law told us about Rich Herbs Foundation where she ordered herbs that effectively treated her arthritis. We ordered their COPD herbal treatment after reading alot of positive reviews, i am happy to report this COPD herbal treatment reversed my lungs condition. My quality of life has greatly improved and every one of my symptoms including difficulty breathing and wheezing are gone. Their official web page is ww w. richherbsfoundation. c om. I will be 52 soon and have never been healthier!